Home › E' online il nuovo portale del Museo senza Frontiere e la mostra virtuale "sharing history"
Ten themed Exhibitions | Database with 3,000 items | Timeline for more context | and much more. Today we are all called upon to look at our past as a shared heritage, which will give us inspiration for a joint future only if interpreted collectively, taking into consideration the perspectives of all concerned. 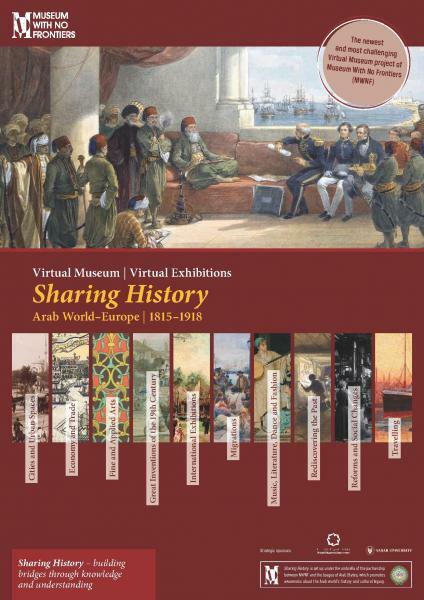 “Sharing History” is the result of a joint effort of partners from 23 countries, to make the discovery of shared history both enjoyable and educational. Enclosed please find our press released and a leaflet presenting the project. We would be grateful for your support to disseminate information about the launch of www.sharinghistory.org.